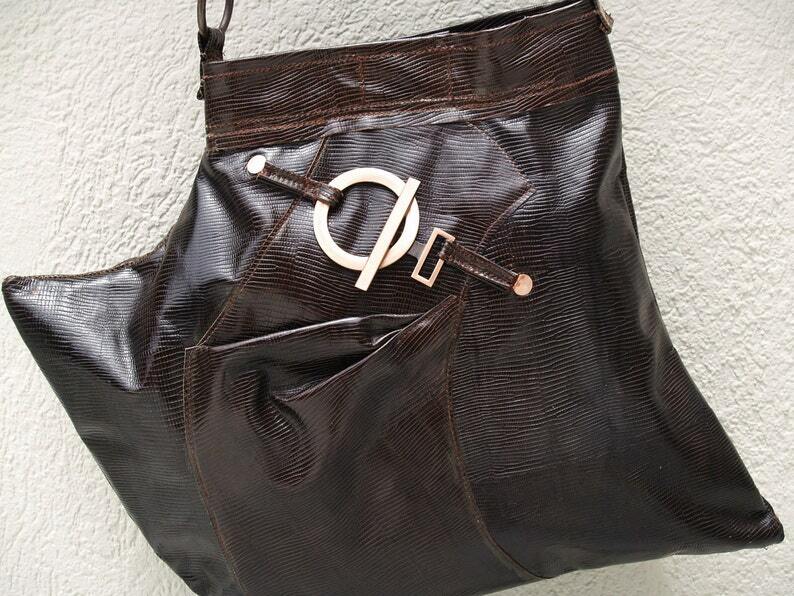 Stylish shoulderbag designed in a brown "croc" stamped leather. An elegant handbag, accented with a copper hardware, it is perfect for any occasion. A very attractive handbag that can be worn cross body. Beautifully lined in burgundy, one inside pocket, and a metal magnetic closure. Measurements are: length is 19", heigth is 14" and drop is 17". One of of kind, Divinely inspired. Brown Croc Leather Envelope Handbag with "Bow"
Turquoise Croc Hobo Shoulderbag Handbag with Abstract "Bow"